The Sun continues to shine its light on your solar twelfth house. This is the time to listen to your intuition, to take a break from the hectic pace of your life, and to reflect on what you have learned in the past year. You might naturally retreat a little and take more private time for yourself now. That frightened me a bit, since my intuition is that I need a break. I thought I might drive out to the Creation Museum in Petersburg, Kentucky (just south of Cincinnati). I'll call in sick at work for the next couple of weeks and ask my colleagues to show my students videos while I'm off - here's a good one for my historical geology class. I've been coming more and more skeptical of evilution now that I see how scientists are simply unable to address objections to Darwinism proposed by great thinkers like Ken Ham. Has anyone noticed the Moon looks funny lately too? Tilted weirdly. I think the scientists are covering it up to avoid panic. By the way, did you see the Washington Post OpEd which exposed how college professors don't work hard enough? As a professor I can certainly attest to that. I only teach a few hours a week. I don't have to come in until 11 am and typically leave before 2 pm when I go down to the local tavern and drink Scotch until it's time for dinner. Top shelf stuff too since I'm paid so well as a full professor. Since I have so much free time, I've decided to get invest in other activities to keep from getting bored. Did you know they used to mine silver and gold right here in the Shawangunks? True. I was doing some historical research and came across some documents in the local historical society archives that have been completely overlooked. As a geologist, I was able to figure out the exact locations referred to and hiked out there one day after I gave my students a worksheet and left class early. There's still enough gold in some of these mines to make a whole slew of people fabulously wealthy. I was able to purchase some of the land these mines are on from the Mohonk Preserve and am currently selling shares in the mine to those people who aren't afraid of being rich. At only $1,000 / share, it's a great opportunity. Just mail me a check and you're in. Oh, some good news for a change. My wife has finally agreed that an open marriage would do us a world of good. So, if you're an attractive female between the ages of 18 and 30 (35 if you take care of yourself), give me a ring. Sorry, but current students are not eligible for this offer. Not to be immodest, but I do have quite the reputation as a ladies man. You know what they say about geologists, right? We know how to make the bedrock! On a final, more serious note. 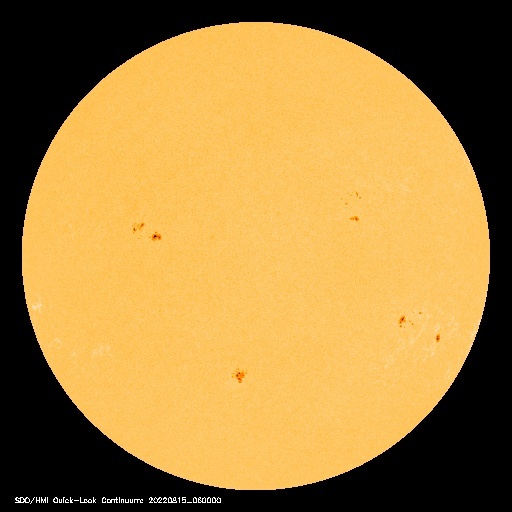 The recent uptick in solar flare activity on the Sun leads me to caution everyone reading my blog. Energetic particles from large coronal mass ejections (CMEs) can damage sensitive brain tissue unless you take precautions. Fortunately, there is an easy, inexpensive remedies everyone has available in their kitchens. A layer of aluminum foil (heavy duty) will very effectively shield you from these particles (as long as you point the top of your head toward the Sun during a CME. Here are some simple directions (by the way, it's aluminum foil, not tin foil!). You did notice the date this was posted, right?